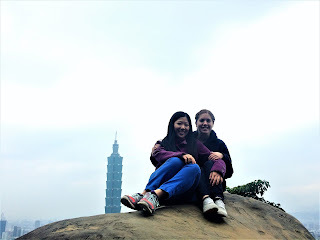 While in Taiwan, we are often given the freedom to make our own choices about how we will spend our time. For a lot of people, this is their first time to be outside the confines of school, a structured job or the expectations of their parents. It’s easy to look at all the time we have here in Taiwan and spend it pursuing things that make us happy, but don’t necessarily have any tangible or eternal value. 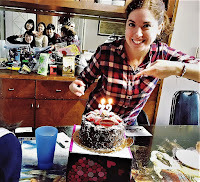 During my first year in Taiwan, I didn’t have any obligations outside of the Character and English Institute (CEI) work, so I spent a lot of time getting used to being in Taiwan and taking care of myself so I wouldn’t get overwhelmed. I definitely appreciated having such a relaxed schedule, but towards the end of the year I began to get restless. I took account of what I was spending my time on, and realized that I could be a lot more productive with my time if I decided to come back a second year. Just to clarify, I’m not saying that everyone who spends time on personal things is being lazy or wasteful; I’m just saying that for me, I saw that I could still have plenty of time to enjoy my own things while also being purposeful about pursuing things that had lasting value. For me, that took the form of starting work on my college degree at the beginning of my second year. This was greatly helped by the fact that my sponsor offers an educational scholarship to returning teachers who wish to pursue their degree while volunteering. While I would have still started school without the scholarship, I greatly appreciated the fact that my sponsor supported my efforts to make good use of my time while in Taiwan. It hasn’t been the easiest road, but when I compare my situation to what it would be if I were at home and holding down a full-time job, I feel very blessed. Not only do I get to live in the beautiful country of Taiwan and serve the Lord by assisting CEI with their Character and English Institute, but I’m also able to work on finishing my degree efficiently and in a financially wise manner. It’s definitely a very cool perk for those serving in Taiwan if they have a desire to work on improving their education. And just as a final note, I think using your time wisely can mean a lot of different things, and not just college studies! I know many teachers who redeem their time by pouring lots of love, care and attention into the people around them, or by studying Chinese, or by simply taking advantage of the time to gain a deeper relationship with God. 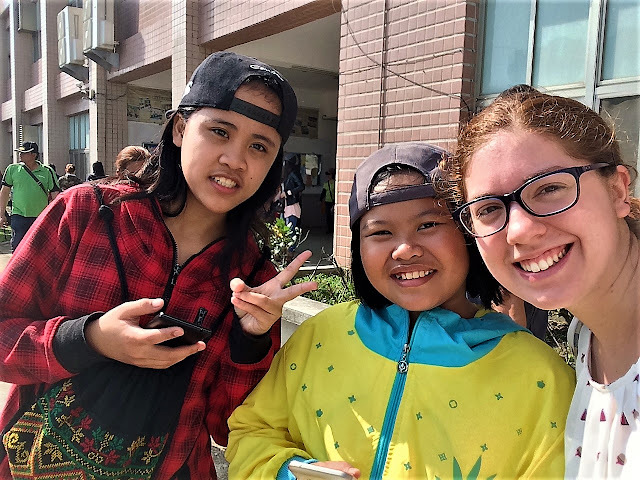 All of these are awesome ways of using your time wisely, and I hope that my story can encourage others to pursue pleasing God with their time in Taiwan, no matter what that looks like. Elisabeth is in her third year serving as a volunteer English teacher at the Character and English Institute in Taitung, Taiwan. She has been blessed to have been able to travel all over Taiwan, and is slowly but surely getting stamps from different Asian countries in her passport. 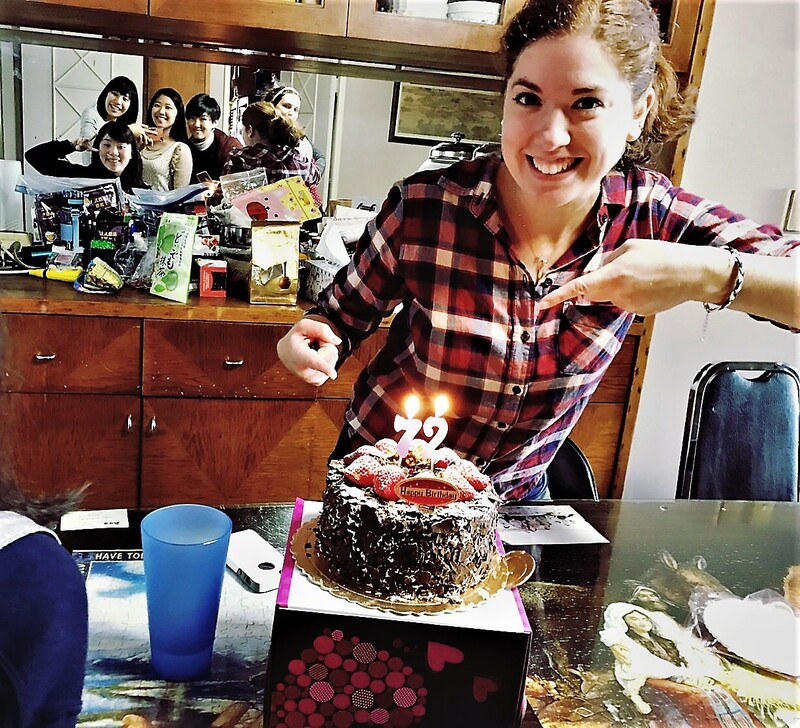 She is blessed to be surrounded by wonderful friends and to have been given the opportunity to make some amazing memories in her time here in Taiwan.